Boasting historical cities such as Seville and Granada as well as the sun-baked coastal resorts of Marbella and Torremolinos, the Andalucia region of Southern Spain is a medley of Moorish castles, flamenco dancing and sprawling sands – quintessential Spain wrapped up nicely, thank you very much. Just a short flight from the UK, it’s easy to see why it’s been a magnet for Bristish holidaymakers for over 60 years. We asked Barceló Hotels & Resorts, one of Spain’s leading tourist companies, for its pick of family-friendly hotels in the region offering activities that should keep you and your grown-up children happy. 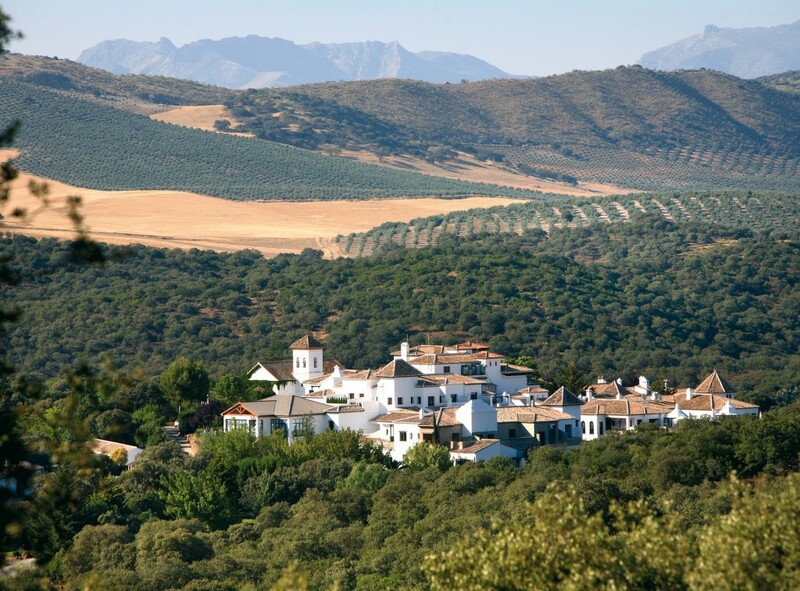 This pretty white-washed hotel lies in the heart of the countryside between Granada and the Costa del Sol. Its luxury 5* ambience encourages you to go slow and soak up the atmosphere. And there’s no better way to get acquainted with your surroundings than on horseback. Home to a stable housing horses suitable for all levels of experience, a guided 30-minute pony trek starts from €15 per person. If you do want to speed things up, other activities on the estate include tennis, paddle tennis and mountain biking. This 19th century castle is a ten minute drive from Jerez and has its own 18-hole golf-course designed by Jack Nicklaus. Take private or group lessons (which include fun games and challenges), starting at 45€ an hour. You can also keep active in the hotel’s three swimming pools, tennis courts and two FIFA standard size football fields. Price: from £65 per room per night based on four sharing a family room, including breakfast. Price: from £230 per room per night based on three sharing a family room, including breakfast. A 20 minute walk takes you into the beautiful city of Seville and the hotel is also just 500 metres from the Isla Mágica Theme Park – with enough white-knuckle rides to keep thrillseekers happy for the day. During the summer (until August 30) the hotel is going ‘pirate themed’ and partnering with the theme park to offer packages that include VIP access to the park (plus lots of other onsite pirate themed activities that younger children will enjoy). This a great part of the world to visit and, in my view, an underrated destination. Your piece brings back happy memories of travel there. Thanks Stuart. I’m glad it’s brought back happy memories! It is a gorgeous destination, with something to please everyone!